ZTE announced its latest smartphone, dubbed Small Fresh 5. It comes in four colors and features two cameras on its back. The phone runs on Snapdragon 425 with a quad-core CPU. The display is a 5” IPS unit with 720 x 1280 pxiel resolution. It doesn’t have any buttons on the front panel, but on the back a fingerprint scanner can be seen. The back panel also houses two cameras with a flash between them. The primary is 13 MP, while the secondary is 2 MP for capturing depth information and allows bokeh effects. The selfie camera is 5 MP. The phone runs on Android 7.1 Nougat with MiFavor UI on top and is powered by a 2500 mAh battery. You can also find a microSD slot for up to 128 GB storage. The body is mostly metal, and the most distinctive feature of the Small Fresh 5 are the colors - Dark Night Gray, Elegant Gold, Glacier Blue, and Green. 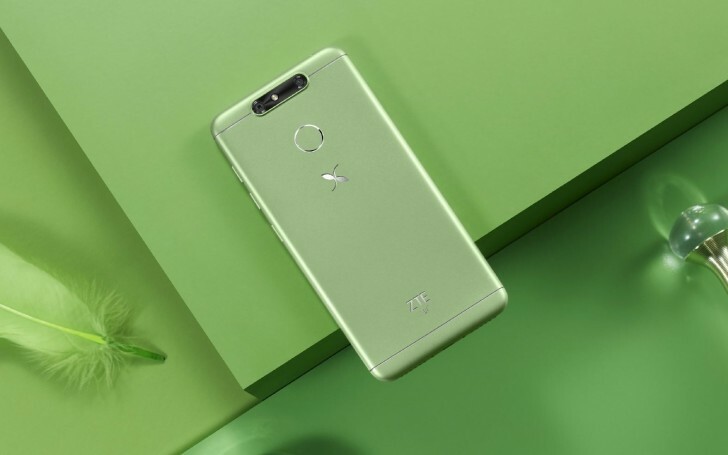 There are two versions of the ZTE Small Fresh 5: the one with 3 GB RAM and 16 GB internal storage costs CNY999 ($146), while 4 GB RAM and 32 GB storage will set you back CNY1,399 (approximately $204). What a waste of good design.